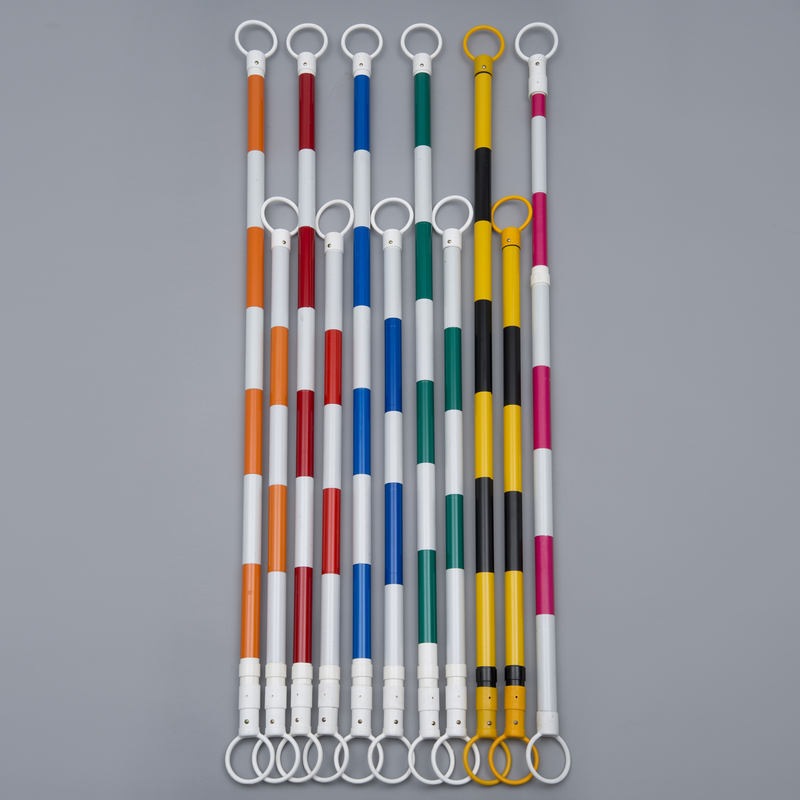 JBC’s inexpensive and reusable cone bar is lightweight and extremely portable. This product will fit on all JBC cones and knob-top delineators. Our cone bar is ideal for quick warning barrier set-ups. They can be used to control vehicle and/or pedestrian traffic, for utility work, for construction sites, and many other possibilities. We use engineer grade reflective sheeting to ensure maximum visibility during the day or at night. The JBC Cone-Bar is made from the highest quality commercial grade ABS materials, ensuring high performance and long-life durability. Available in many different color combinations and 2 adjustable sizes chocie: 3’ to 6’ and 6’ to 10’. This product will fit on all JBC cones and knob-top delineators; and custom imaging on the Cone bar is available. Compared to warning tape, the Cone Bar is highly effective in terms of cost and functionality. The Cone-Bars is reusable, highly reflective at night, and it creates true work-site traffic control. Wide array of commonly used warning text as well as your custom text can be printed on our engineer grade reflective sheeting. Perfect for vehicle and pedestrian traffic control. At only 1.35 lbs., the Retractable Cone-Bar is easily carried or transported in the trunk or truck bed, and it's easy to set up. Just drop the Cone-Bar ring onto the top of the cones or delineators to setup an inexpensive barrier around hazardous or controlled areas.